Another day for power rankings let’s see who just misses out on making it to the first half of the power rankings with the schools ranked 46-38. Like a few of the other bottom feeders on this list Indiana is much more of a basketball school than a football school. 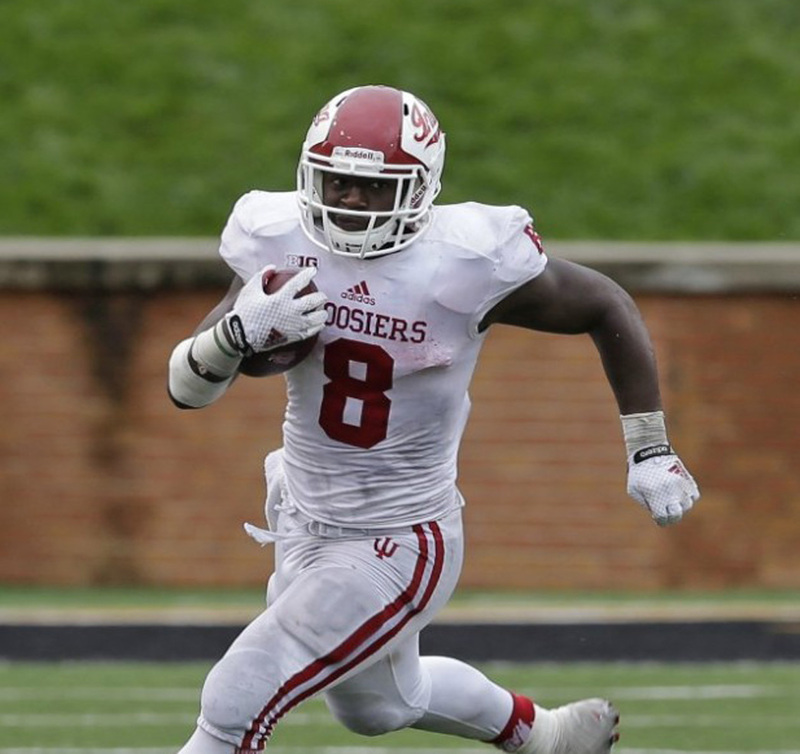 The Hoosiers however have indeed given the NFL some solid names. The top name right now is Bears running back Jordan Howard. Howard in his rookie season broke the Bears rookie rushing record with 1,313 yards in 2016. Tevin Coleman of the Falcons and veteran cornerback Tracy Porter get the shout outs. Coleman has been a key part of the Falcons top rated offense over the past few seasons with a combined 12 touchdowns and 1,347 total yards on the ground, and receiving over the past two seasons. Tracey Porter is best known for his historic Pick Six of Peyton Manning back in Super Bowl 44 with the Saints as has hopped around the NFL as a dependable cornerback over the years. Kansas State has quietly been a very solid football program over the years and have sent some very solid players to the NFL. The top former K State Wildcat in the NFL is Packer Wide Receiver Jordy Nelson. As Aaron Rodgers favorite target Nelson has 63 career touchdown grabs, a pro bowl nod, and a super bowl ring. A pair of the NFL’s most explosive players former Wildcats Darren Sproles and Tyler Lockett get pro bowl nod Sproles is a two time pro bowl return man and running back and Lockett is one of the best special team players in the NFL. Cody Whitehair center for the Chicago Bears also gets a shoutout for his very solid rookie season out of Kansas State in 2016. Though many may not view Rutgers as a power five as they are very new to the B1G ten they are indeed still a power five and have produced some solid NFL players. The best former Scarlet Knight is Patriot safety Devin McCourty. The two time pro bowler and Super Bowl Champion is a huge reason the Patriots defense has been so good the last few seasons. McCourty was rewarded with a 47.5 million dollar extension. Devin’s brother Jason McCourty of the Titans along with wide receivers Mohamed Sanu of the Falcons and Kenny Britt of the Rams also get shoutouts. Jason McCourty has 13 career interceptions for the Titans and has been a key part of their defense for eight seasons. Momhead Sanu was a favorite target of Andy Dalton’s when he was with Bengals and helped the Falcons to the playoffs in 2016. Kenny Britt quitely is coming off an 1,000 yard receiving season in LA and had 30 career touchdown grabs between LA and Tennessee. 42. 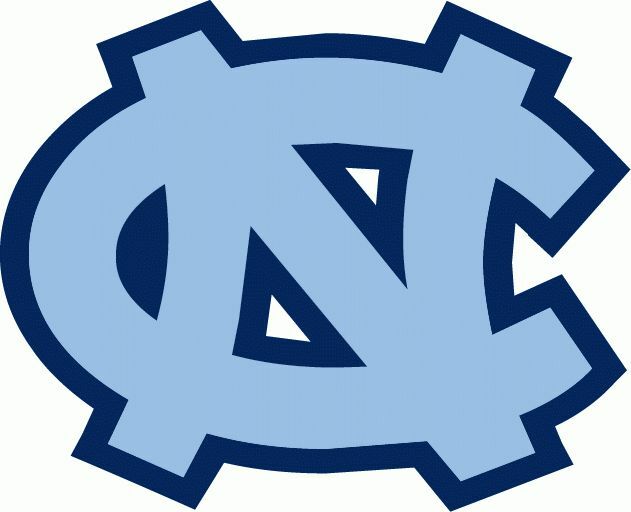 North Carolina: Robert Quinn DE LA Honorable Mentions: Eric Ebron TE DET, Giovani Bernard RB CIN, Julius Peppers LB GB North Carolina is another school that falls under the basketball first excuse for not producing the best of NFL talent but the school does has given us some solid players. The top former Tarheel in the NFL right now is Robert Quinn of the Los Angeles Rams. The feared pass rusher is a two time pro bowler and was named to the first team all pro list in 2013. Injuries have plagued him the past two seasons but he is a guy who is just two years removed from a 19 sack season. The honorable mentions go to Lions Tight End Eric Ebron, Bengal running back Giovani Bernard, and veteran Packer pass rusher Julius Peppers. Ebron had 711 receiving yards in 2016 putting up his most productive year of his young three year career. Benard has helped the Bengals in both the running game and passing game over the last four seasons putting together three 1,000 yard plus seasons. Julius Peppers was once the best pass rusher in the entire NFL back when he was with the Panthers and Bears now with the Packers he provides veteran leadership with 143.5 career sacks under his belt. 41. Maryland: Stefon Diggs WR MIN Honorable Mentions: Nolan Carroll III CB PHI, Sean Davis S PIT D’Qwell Jackson LB IND Maryland is a second team new to the power five joining the B1G Ten just a few years ago however newest member of the B1G Ten has given the NFL some solid players. The top Terrapin in the NFL is Viking Wide Receiver Stefon Diggs. On Top of some highlight reel catches Diggs has been a very productive Wide Out despite poor Quarterback play in Minnesota catching seven touchdowns in his two year career including a 903 yard season in 2016. Nolan Carroll of the Eagles, Sean Davis of the Steelers, and D’Qwell Jackson of the Colts get shoutouts. Carool has been a solid Cornerback for seven seasons split between Miami and Philly. Carroll has defended 47 passes and grabbed eight picks. Sean Davis hard hitting Steeler Safety made 70 tackles in his rookie season of 2016. D’Qwell Jackson is a former Pro Bowl Linebacker and in 11 NFL seasons with the Browns and Colts he has made 1,192 career tackles. TCU has struggled to produce that many big names in the NFL of late but has given us a few solid starters. 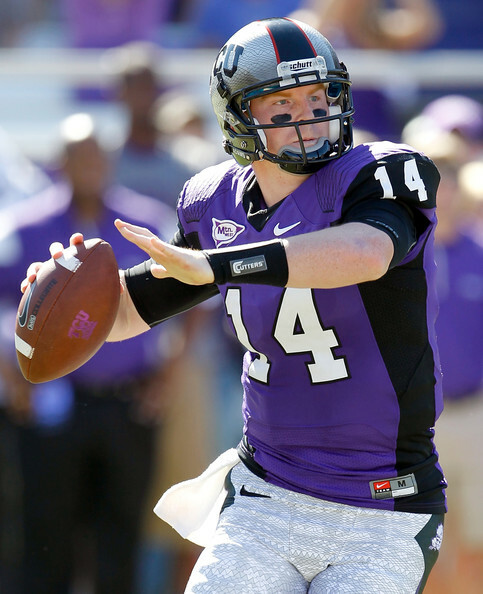 The best former Horned Frog in the NFL right now is Bengal Quarterback Andy Dalton. In his six year career he has led the Bengals to the playoffs five times and has made two pro bowls. The shoutouts go to 49er receiver Jeremy Kerley and Charger corner Jason Verrett. In Kerley’s six NFL seasons he has 2,892 receiving yards and over 1,000 yards in the return game that includes a touchdowns. After five years with the Jets he put his second best year together in San Francisco in 2016 where he had 667 receiving yards with three touchdowns. Jason Verrett was named to the 2015 pro bowl after a great season for the Chargers in just his second season unfortunately his year was cut short in 2016 after tearing his ACL which completely depleted the Chargers defense proving how valuable Verrett is to his team. West Virginia easily can be in the top 30 of this list come next season but right now the former Mountaineers we’ll talk about are mostly young. 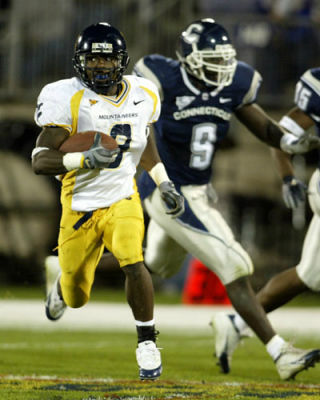 The top Mountaineer in the NFL right now however is a veteran cornerback Adam Jones of the Bengals. Jones the Bengal top corner is a former pro bowler and a top corner in the entire NFL with 15 career picks. Honorable mentions go to Cal Joseph of the Raiders, Keith Tandy and Charles Sims of the Bucs. Bruce Irvin of the Raiders, and Pat Mcafee of the Colts. Joseph was a 2016 first rounder of the Raiders who has been a key piece in turning the Raiders into a contender. Bruce Irvin was one of the top players on the Seahawks defense for the Super Bowl 48 championship team and Super Bowl 49 NFC Champion team and now plays for the Oakland Raiders. Charles Sims has had two straight seasons of at least 500 yards rushing or receiving for the Bucs. Keith Tandy stepped in as a starter for the Bucs in 2016 and thanks to his great play looks to be a long term starter in Tampa. Lastly Pat Mcafee is a two time pro bowl punter and was named first team all pro in 2014. Iowa has had some really good teams the past few years so this is a school who can make a jump on this list in the near future but for now the best NFL names are offensive lineman. The top Hawkeye in the NFL right now is Marshall Yanda of the Baltimore Ravens. The offense lineman is a six time pro bowler, two time all pro, two time second team all pro and a Super Bowl 47 champion. The longtime Raven certainly has made his case to be enshrined in Canton in the Pro Football Hall Of Fame one day. The sixth overall pick in the Draft in 2015 Brandon Scherff gets a shoutout along with Packer Corner Micah Hyde. Scherff in just his second season was named to his first Pro Bowl in 2016 and was named to the Pro Football Writers all rookie team in 2015. Micah Hyde hauled in three picks and defended nine passes for the Packers in 2016. Posted in Indiana Hoosiers, Iowa Hawkeyes, Kansas State Wildcats, Maryland Terrapins, NCAAF, NFL, North Carolina Tarheels, Rutgers Scarlet Knights, TCU Horned Frogs, West Virginia Mountaineers and tagged NCCAF, NFL, Power Fives.